Just need 48 more followers to begin the $50 of free steemit initial challenge! Step 3-Enter the giveaways! Remember upvote and resteem that weekly giveaway article and win free crypto! I am currently at 52 followers! This is great, but to get the word out I would like to start the giveaways when I reach 100 followers! The first week will be a 50 dollars giveaway of Steem! I work in finance and have been fascinated with the cryptocurrency world since the big boom with Bitcoin. I have decided that I will start a weekly crypto giveaway! Every week there will some type of guessing game for which the winner will win free crypto. The first week will be small, at an amount of $50 USD worth of Steem. 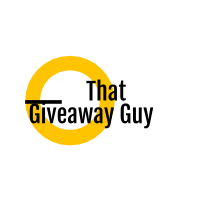 As the weeks go by, the more popular and more upvotes my giveaways receive, then the more I will give away and also the type of crypto given away will vary depending on what cryptos are hot at the time. My hopes are to make this giveaway as big as possible and for everyone to have fun along the way. 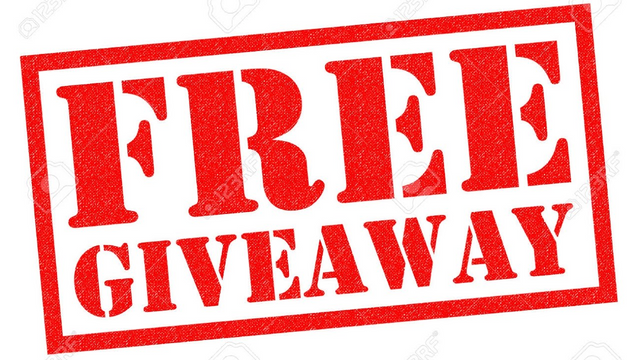 The giveaways will run from Sunday’s and end at midnight (Mountain Time U.S.) on Saturday’s every week, at which point I will announce the winner and transfer the crypto. When playing the game you must first start with an upvote and a resteem on the weeks contest article and of course follow my main page (the goal is to eventually have the giveaways powered by upvotes and via resteems). You may also have only ONE entry per weekly contest. When you comment with your contest entry you much post your address for me to transfer the crypto to as well. I have seen and attempted to win crypto from so many fake twitter pages that it drove me nuts. I would go from excitement from the thought of winning crypto…to the realization that it wasn’t going to actually pay out. The power of Steem has motivated me to start this weekly giveaway. I feel so confident that it can work and grow that in the early stages of these giveaways I am giving away my own crypto to winners! So please give me a follow and I will make my initial giveaway post after I receive at least 100 followers, I will also follow everyone back as well! I know this may seem a little ambitious, but I truly want to make this work! 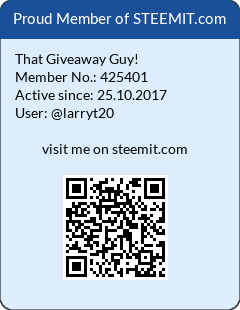 Hey @larryt20, welcome to Steemit!